Sarah E. Schram, MD, Mohs Surgeon and Dermatologist, is board-certified by the American Board of Dermatology and is a Fellow of the American College of Mohs Surgery. She is the President, Lab Director, and Co-Owner of Pima Dermatology. Dr. Schram earned her Doctor of Medicine Degree at the University of Minnesota Medical School. Achieving academic honors with the Glasgow-Rubin Citation for Academic Achievement, she was elected to the Alpha Omega Alpha Honor Medical Society. She completed her Dermatology Residency at the University of Minnesota Medical School. 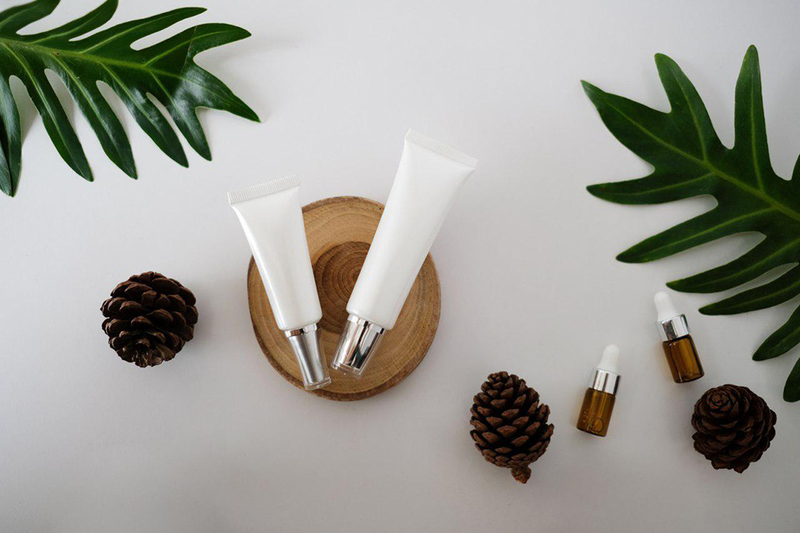 She received extensive training in Mohs and Laser Surgery during a Procedural Dermatology Fellowship at the University of Minnesota. Prior to joining Pima Dermatology in 2015, Dr. Schram was an Assistant Professor and Dermatologic Surgeon at the University of Minnesota. She has held a wide-range of memberships in professional societies, including the American Academy of Dermatology, the American Society for Dermatologic Surgery, the American Society for Laser Medicine and Surgery, the American College of Mohs Surgery, the Association of Professors of Dermatology, and the American Medical Association. She currently serves on the Board of Trustees of the Women’s Foundation of Southern Arizona. Dr. Schram has lectured to dermatology residents both nationally and internationally and presented research at numerous national meetings. She has traveled as far as Durban, South Africa to lend her cutaneous surgical skills to the University of KwaZulu-Natal’s resident and attending physicians to help them learn cancer excisions, suturing, benign lesion destruction and wound care. Locally, she has lectured for TMC for Seniors at the Main Campus and also for guests at the Canyon Ranch Tucson Resort. She has contributed to a variety of medical journals and publications. Dr. Schram specializes in Mohs Skin Cancer Surgery, with a special interest in Cutaneous Oncology and Cosmetic Dermatology. She is thoroughly skilled in General, Surgical, and Cosmetic Dermatology and Lasers. She provides quality care for each patient with her friendliness, warm demeanor, and professional expertise. In her spare time, she enjoys travelling the world and hiking. 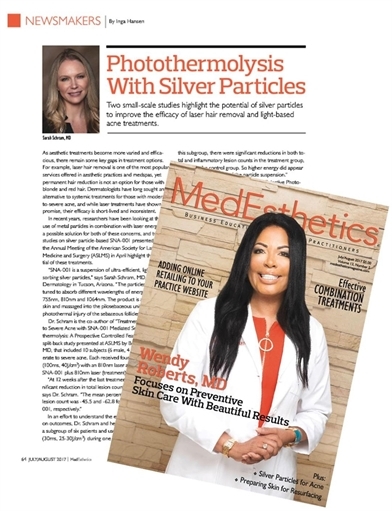 Sarah Schram, MD, discusses the potential of silver particles to improve the efficacy of laser hair removal and light-based acne treatments read more here. Next, Meet Jennifer Allison, PA-C.